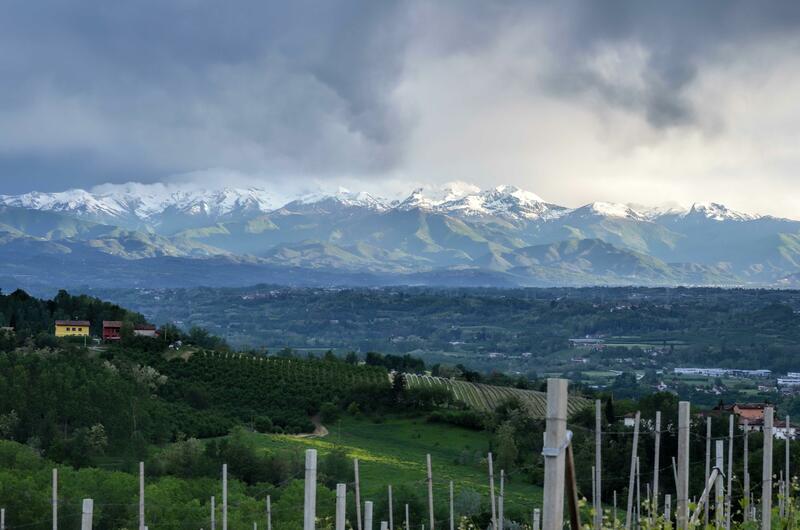 Having decided we were definitely moving to Piemonte, a region in which we’d spent just three days between us, we thought we’d probably best leave Google alone for a bit and actually get on a plane. So, we headed out for our first house-hunting weekend. I’d like to say it went well, that we found our dream property straight away and never looked back. It’s more romantic that way. But, of course, real life isn’t like that. We visited some awful places. The photos online had looked so good, but for some reason they never show the warehouses, slightly scary men with fires or the fact that the house receives just one hour of sunlight a day. On the plus side, we loved the area. I thought I knew what to expect but the landscape just completely blew me away. To be honest, it still does. The people were friendly and helpful and the food and wine were cheap, delicious and plentiful. Yep, I was going to like it here. We did a couple more of these fruitless weekend house-hunting trips before the reality of the situation set in. It was a fun way to spend a couple of days, but we were never going to find a place like this. We were driving hundreds of miles, looking at completely inappropriate houses and spending a fortune on hire cars and hotels. If we were really going to do this we needed to do it properly. It was time to quit our jobs and move out to Italy. This was the scary bit. I’d been in my job for 12 years. It paid well, took me to some incredible places (the Arctic Circle, Morocco, Leamington Spa…) and was enjoyable roughly 50 per cent of the time. But it was also slowly destroying me. I still vividly remember taking my boss aside for ‘a chat’ out the back of the Geneva Motor Show. I was shaking like a leaf, my voice trembling as I spoke. When it was done I felt shellshocked. Happy and terrified. This is it. It’s real now. I need a beer. Two months later we had rented out our house, got Otto his doggy passport, loaded up the car and were headed for Italy. Now we were here we could take the house hunting to another level. We gave out leaflets, spoke to people in bars and wineries, scoured the internet and met with a lot more agents. 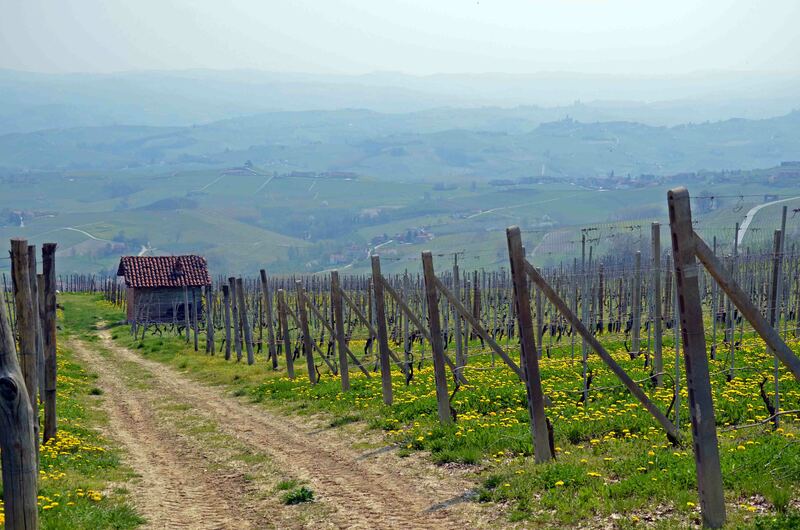 We expanded our search area to cover the whole of the Monferrato, Langhe and Roero and saw more than 50 houses. Picky? Us? There were two places that we nearly bought, but frustratingly neither owner was willing to listen to our offers. Moving on from that was tough, we started to wonder what would happen if we never found anywhere. We even started thinking about trying other parts of Italy, but we always came back around to Piemonte. We just told ourselves we had to keep plugging away. Eventually, out of desperation, we contacted an agent we had been warned against. I didn’t particularly want to, but my parents were coming out to visit and we thought they would like to see a few houses while they were here. Having visited every single property on the market with the decent agents, we had little choice. And anyway, how bad could they be? How could we not love it when this is the view from the garden? Exactly the same thing happened to us on a house we tried to buy in the UK. The day before exchange the ‘chainless’ vendors revealed that they were, in fact, in a chain and it had fallen through. That cost us a lot of money! We tried to convince ourselves that everything happens for a reason. It just means there’s an even better house out there for you. We spent a couple of days with an agent we’d been warned about, he showed us lots of lovely Italian houses but his methods were so dodgy we decided against using him. At one point he took us to a house and used a screwdriver to force the front door open. Since we moved here we’ve since learned that the house is not and has never been for sale. Wow, that’s impressive! These guys didn’t go that far, though they have a reputation for stealing photos from other agents and taking people to other agents’ houses. They also tried to con us out of a few hundred euros at the end (despite us already paying them many thousands of euros for doing nothing). I missed your last post, but the note-taking begins here. We hope to buy a cascina one day in place that we allow us to have several chickens, goats, a donkey and more dogs! I really want goats! I just don’t think we have enough space, sadly. Pygmy goats – they don’t take up much space and are super cute! I just looked up photos of pygmy goats and you’re right, they’re cute. Really cute! Maybe Otto would like one as a new best friend!? Richard, I had to look up Bartolo today to see exactly where this place is! Looks fabulous!!!! It will all come together! Remember, It will be all right in the end. If it’s not all right, it’s not the end! One of my favorite sayings! I really like that, I must remember it! Thanks!! Yep, he says “Bau Bau” now. He’s doing much better than I am! Thanks for Otto…..as you promised. Can hardly wait for Chapter 3! 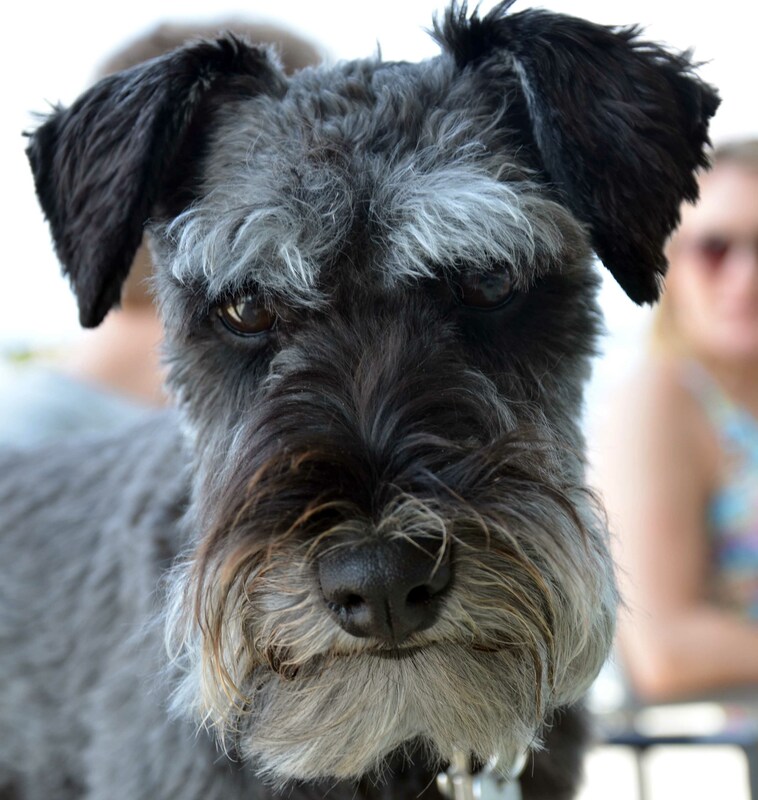 OK you have a beautiful dog and a beautiful view…is that allowed? Just kidding! It sounds like you were suppose to be where you are, you have a great story to tell the kid(s). I am enjoying the parts so far, thanks for sharing. That last photo!!! O.M.G.!!!!!!! Kudos for the bravery it took to uproot and move BEFORE committing to a house!!!! Ha ha… you’ve got to love her tiny, squashed face!